It simply states that everyone is an artist. It is a statement by one of my heroes called Joseph Beuys. Was he an Artist, a Shaman or just a cool guy? Who knows? Who cares? His Legacy is what matters. My favorite Action of Beuys is “How to explain pictures to a dead hare.” Here is the description of the event. 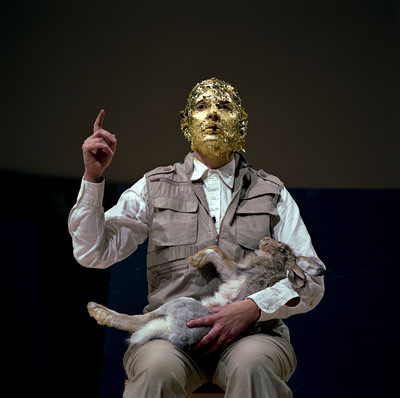 "On November 26, 1965, Beuys put the hare into the leading role in an Action. The title: How to Explain Pictures to a Dead Hare. The place: Galerie Alfred Schmela, in Düsseldorf, a gallery that had committed itself early and strongly to Beuys and had done a great deal to promote his reputation. Beuys sat on a chair in one corner of the gallery, next to the entrance. He had poured honey over his head, to which he had then affixed fifty dollars’ worth of gold leaf. In his arms he cradled a dead hare, which he looked at steadfastly. Then he stood up, walked around the room holding the dead hare in his arms, and held it up close to the pictures on the walls; he seemed to be talking to it. Sometimes he broke off his tour and, still holding the dead creature, stepped over a withered fir tree that lay in the middle of the gallery. All this was done with indescribable tenderness and great concentration." Quoted from: Heiner Stachelhaus, Joseph Beuys, Abbeville Press, New York, 1987, (Translated by David Britt), p. 135. Why the Hare? It is a reference to the famous drawing of the German Leonardo, Albrecht Dürer, of a hare of course obviously alive and well. It is stunning by its realism, even by today’s standards. See for yourself. To me this print is as big an achievement as the legendary Mona Lisa. Yes you can see the date: it says 1502. Dürer was also a man of the people and did not use Latin in his descriptions of his Art. And he depicted the real world not the projections of some ideology. Dürer to me is one of the greatest artists ever. Cough! That is after Rembrandt of course. (The geek in me likes to think that the “Stanford Bunny” is a dreadful homage to Dürer’s hare. Can anyone confirm this?). 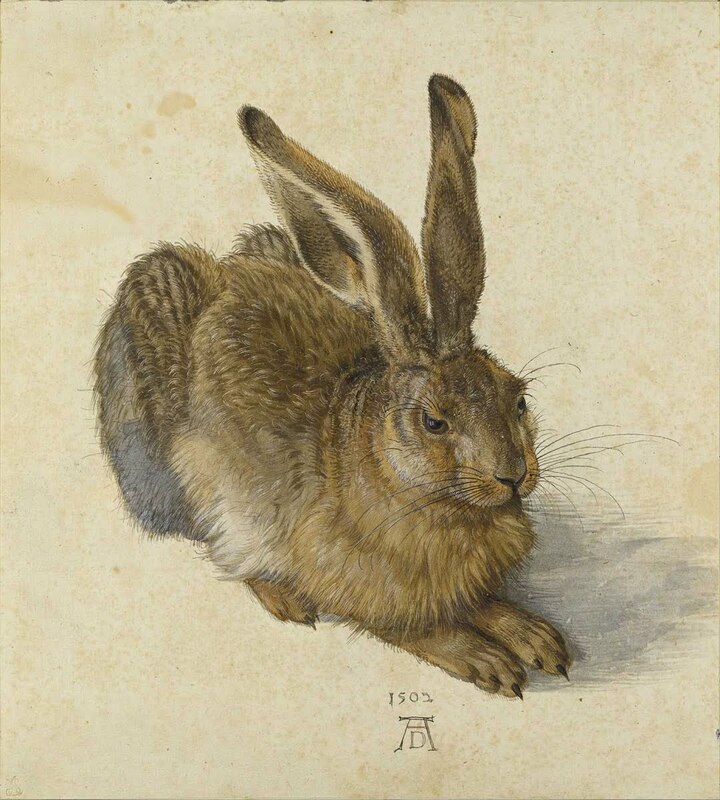 Dürer immortalized the hare but also killed it and that is Beuys’ point, I think. Modern media is like that. It is all about the “present” with no context, no meaningful narrative. It is also about the economics of Art. 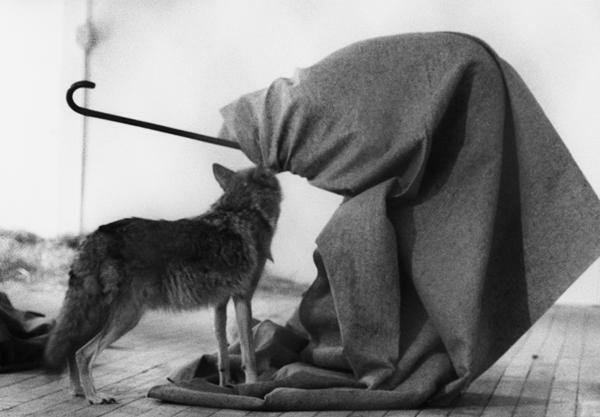 That is why I like Beuys. Whatever his point is, he makes you think in different ways. Think before you watch. Oh wait the brain does this for you. This Action is in some sense the opposite of the “dead hare” performance. It is an attempt to get back to the real: a living experience, not a frozen depiction. Here is the description of the event. Notice that the “event” has a context: the present is framed in the past and the future. Whatever you are supposed to be, keep in mind that Beuys inspires you to be an artist despite the box you have been shoved into. It is not a religion but an attitude. Be an artist when you write code.